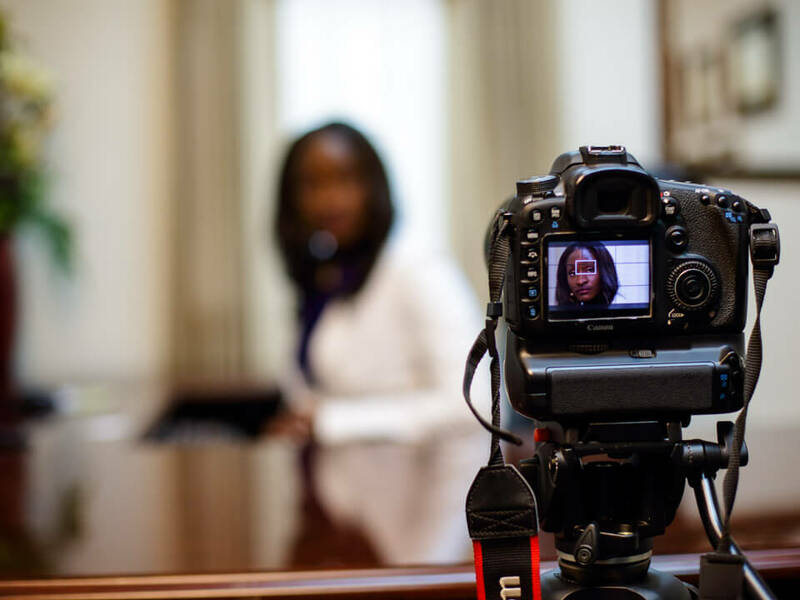 Law Firm Video Marketing For Mikaela Nix – Nix Law, P.A. Orlando divorce & family law attorney Mikaela Nix needed law firm video marketing for her brand new website BabyMamaDramaLawyer.com. Professional Orlando photographer Oliver Manuel would be providing the pictures for Mikaela as well as team up with Lasting Blueprint Productions to do the behind the scenes photography throughout the full day of work. 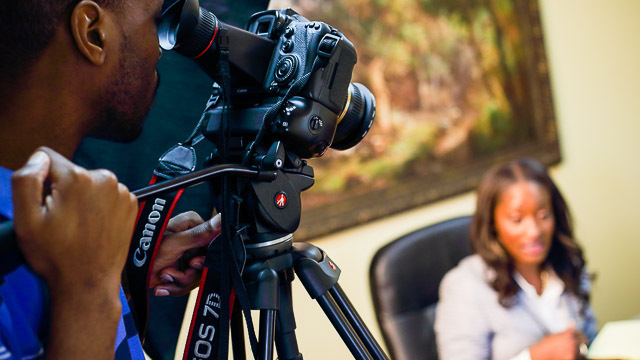 Lasting Blueprint Productions would have a full team of professionals and assistants on set for the photo shoot and law firm video production at her College Park office. Chandra Williams would be providing make up, Yanick Victor would be the wardrobe stylist, and Kathlyn Ruby would be the hair stylist. Mikaela Nix of Nix Law, P.A. provides professional Divorce & Family Law and Personal Injury Law Services in Orlando and Central Florida. Her firm’s objective is to fight for the legal rights of fathers. The photography was going to be shot first, so we setup the area where Oliver would be taking the photographs as the stylists prepared Mikaela for the photos. When it was time for Oliver to take the portrait pictures of Mikaela, we began to prepare the conference room for the shooting of one of the commercials scenes. The plan that myself and Oliver came up with would be to alternate shooting, so things would go along efficiently throughout the day. When Oliver finished taking his first set of photos with Mikaela, it was time for her and the talent to be shot. The scene would be a mock consultation, but I wanted it to be as authentic as possible, so I had her and the actors do an actual consultation. Following the shooting of the consultation scenes of the law firm video production, it was Oliver’s turn to snap more photos of Mikaela. The next and final scene of shooting would be in Mikaela’s office. The remainder of shooting would consist of B-Roll scenes. Thank you to everyone involved for the hard work. It was a pleasure being able to the shooting and video editing to help Mikaela with the attorney video marketing for Nix Law, P.A. The final law firm video production will be available for viewing in our portfolio soon. Please contact Orlando video production company, Lasting Blueprint Productions if you are interested in law firm video marketing.